Today I'm back with another Design Your Biz post. 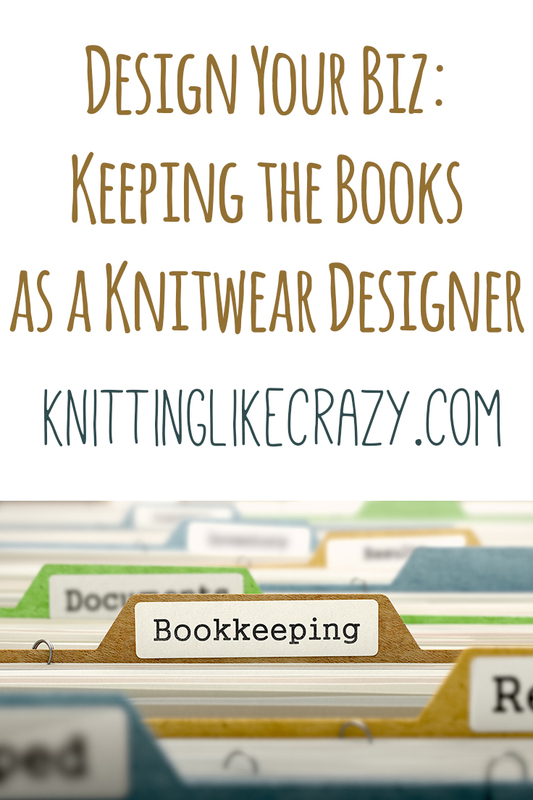 Let's talk about keeping the books as a full-time knitwear designer! I'm not an accountant (obviously). So what you need or don't need for your particular business, I can't tell you. 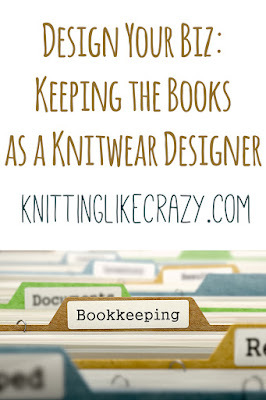 I just thought I'd share a little bit about what I do to keep track of things so that when I am going to my accountant with all my business finance stuff at tax time I'm not going insane. Maybe it will help you too! Track it. REGULARLY. Every Monday (or every other Monday if I'm feeling lazy one week), I track my business finances. That might be way more than you want to track this stuff but, for me, it works. Tracking my business finances means pulling data from PayPal as well as looking at my bank statement online. I have formatted my spreadsheets so that most of my tracking is a simple copy and paste. If I have a random receipt that I didn't use PayPal or my checking account for (this is a rare situation), I manually add it to my spreadsheet. By looking at the numbers every week or two, it's a way smaller set of data to get through. If something is messed up, it's easier to catch it 7 days worth of information, rather than 365 days worth of information. I pay myself every week. I have a set percentage of money I pay to myself (i.e. into the household checking account I share with my husband). If I've received a royalties check from my books or payment from a yarn company in the last week, it's on the following Monday that I transfer the money into the joint account. The only exception is Paypal. I pay myself monthly on the Paypal sales, just because some weeks are better than others and I found it easier to look at the total on the first Monday of the next month and pay myself then. So, yes, I use spreadsheets. Currently no fancy software for me! Since the money in my business comes primarily from PayPal and from checks sent to me from various companies, it's pretty easy to keep track of on a spreadsheet. I'm currently not selling any kind of physical product, so I don't need to worry about inventory or anything. The spreadsheets work great! If you can, keep the money separate. Even if you are operating as a sole proprietor like I am, it's way easier to keep track of the funds coming and going if you keep the money separate from other money that may be coming into your household. I also like keeping the finances separate because it's easier to keep track of how much I'm actually contributing to the household finances versus what goes back into the business. Again, I get that this might not work for everyone. I had it set up this way when I was working a full-time job, and when I went into business full-time, I just kept doing it the way always did. The most important thing is to figure out a way that works the best for you! Also, if you're curious about how to pay yourself, check out Tara Swiger's class, Pay Yourself. * Worth every penny!